A study of the processes that account for adjustment in stepfamilies and of the efficacy of a program designed to promote healthy child adjustment. Stepfamilies represent an increasingly common family structure in America today. Marriage and Parenting in Stepfamilies (MAPS) had two main goals: 1) to better understand processes that account for healthy or problematic adjustment in stepfamilies, and 2) to develop and test the efficacy of a program designed to promote healthy child adjustment by strengthening parenting practices and couple relationships. The MAPS study employed a randomized experimental longitudinal design with 113 stepfamilies shortly after marriage. In the experimental group, families participated in a series of intervention sessions that taught couple-enhancement skills and effective parenting strategies. Families in the control condition participated in the assessment procedures but did not receive the intervention. Children in the project were boys and girls in the early years of elementary school. Assessments for both groups were conducted four times over the course of 2 years. Marion S. Forgatch, PhD, Senior Scientist Emerita, spent much of her career working with the group that eventually became OSLC. She developed and tested programs for families whose children are at-risk for substance abuse and adjustment problems. Her program Parenting through Change (PTC) is recognized as an “Effective Program” in the National Registry of Effective Programs and Practices (NREPP). For the past 10 years, Dr. Forgatch and her team have adapted and applied PTC for use with diverse populations, including non-English speaking Latinos, mothers living in shelters to escape homelessness or violence, parents with severely emotionally disturbed children, and parents whose children have been removed for reasons of abuse/neglect. Currently the program is being adapted for soldiers reintegrating home following service in the wars in Iraq or Afghanistan. 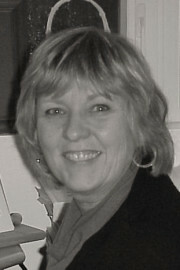 She and her team have conducted several large-scale implementation projects including: PMTO statewide in Michigan in Community Mental Health (CMH) Centers for severely emotionally disturbed children; PMTO nationwide in Norway, Iceland, the Netherlands, and PMTO in CMH and Juvenile Justice Centers in Detroit-Wayne County in Michigan. An additional focus for Dr. Forgatch’s work includes the development and application of direct observation measures of family interaction to evaluate changes in family process and intervention sessions to evaluate fidelity in implementing the PMTO model. Forgatch has co-authored numerous journal articles, book chapters, audio and video tapes for parents, and two books. She has received two awards from Society of Prevention Research: Friend of the Early Career Prevention Network in 2003 and the Award for International Collaborative Prevention Research in 2008 and is a fellow of the Association for Psychological Science.